I know this is not the first image of the Moon to make it to ‘Photo of the Week’, but this was a special moon that deserves special attention (and status). 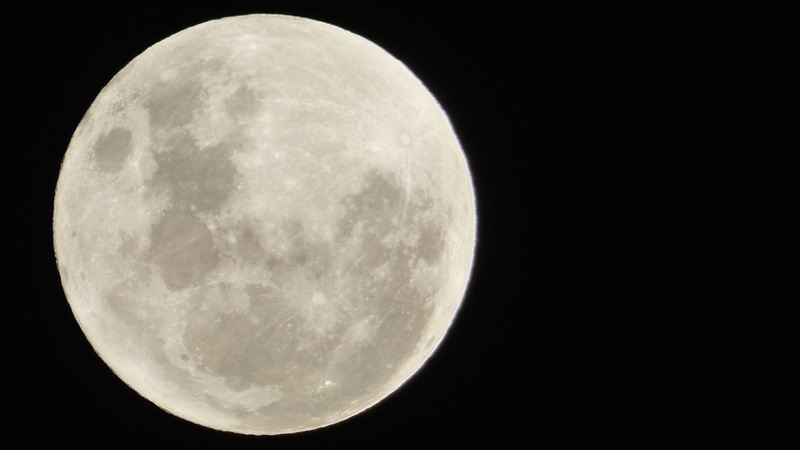 On Christmas night, this beautiful and rare sight was in the sky for the first time in 38 years – the first full moon to occur on Christmas Day since 1977. It was the last full moon of the year, and (I feel) more than deserving of being my last ‘Photo of the Week’ for 2015. It was so lovely standing outside with the world quiet, families settled for the night with the days festivities long finished, and simply gaze at this beautiful sight. My friends who know me well, know how much I love the Moon, and to witness this rare event was a truly wonderful Christmas present. I was so pleased we had clear skies in Rockingham because the next Christmas Moon won’t occur until 2034. Forgot to ask… what did you use to take the photo? The detail…. swoon! I know what you mean – I love my camera. Wow. This is spectactular. The detail really leaves me speechless. It reminds me of when Hitoshi and I went to Mauna Kea on the Big Island in Hawaii. We didn’t go to the very top… our car couldn’t handle the drive. But we spent a long time at the first station. Once it got dark, I was giddy after looking through a telescope at the moon. I couldn’t get enough and couldn’t pull my eyes away. Too bad for the lineup behind me! That memory will stay with me for a long time. Oh Hilary 🙂 I LOVE The Moon – I absolutely love it and I have to stop myself from always taking photos of it, but that hardly works because (did I mention that) I LOVE The Moon. I remember and can relate significant aspects of my life and their connection to The Moon. It is my ruler and my compass, and (one day) where my soul will one day rest. When did your moon connection start? When I was six years old and watched Neil Armstrong walk on The Moon. Oh the memories. Showing my age aren’t I? Nooooo! I was pondering how to make a smile of wonder and not a smile of smirk! They call this type of full moon a Cold Full Moon. That’s a great picture! Unfortunately there’s nothing ‘cold’ about it in the southern hemisphere. I think they call it that because it’s the first full moon of winter. In the northern hemisphere – yes. But it’s 42 degrees C here at the moment (107 F) and there’s nothing cold or winter-like about that 🙂 So jealous of your cold weather at the moment. What a beauty! Thank you for sharing! I hope Christmas was fantastic! Happy New Year!